Beautiful KBHome located in the Fairfield/Madison community. This home has an open floorplan that has the master suite located on the opposite side of the secondary bedrooms. Large living spaces for all your large furniture. 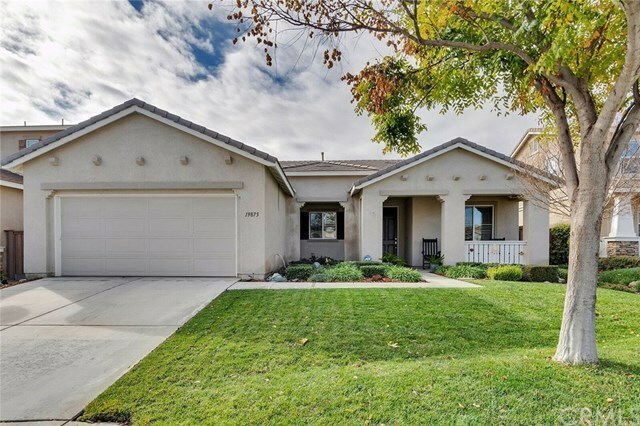 Front porch has a craftsman style look and big enough to have a sitting place out front to enjoy the Cleveland National Forest that can be seen nearby. The kitchen includes Whirlpool appliances with micirowave, dishwasher and range and a kitchen island for the chef of the house. This home has 9ft ceilings that gives it a very spacious feel, and a total of 4 bedrooms. Neutral colored tile and plush carpeting. Front yard is professional landscaped. The back yard is has a gorgeous patio with desert landscaping. All this for a great price. Don't miss out on this beautiful one story home!